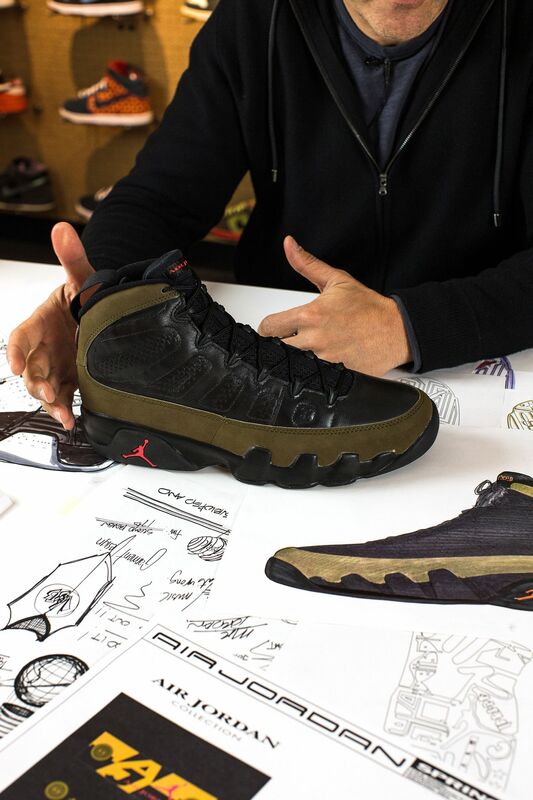 The Air Jordan IX is, at least at first glance, one of the most simplistic Air Jordan designs. 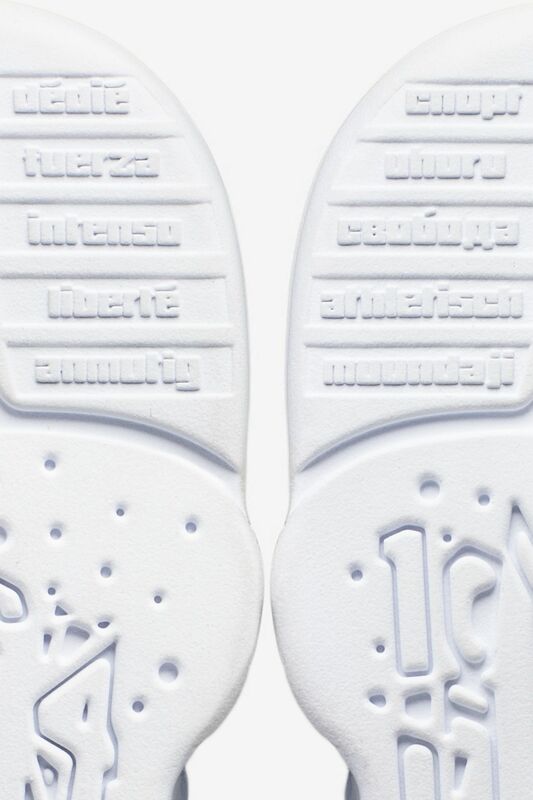 But while the shoe is minimal in construction, it tells one of the deepest stories in the iconic signature series. At the time of the Air Jordan IX’s arrival, MJ was off the court and on the diamond, but his connection to the game was as strong as ever. In addition, his hardwood legacy helped inspire worldwide love for the game. 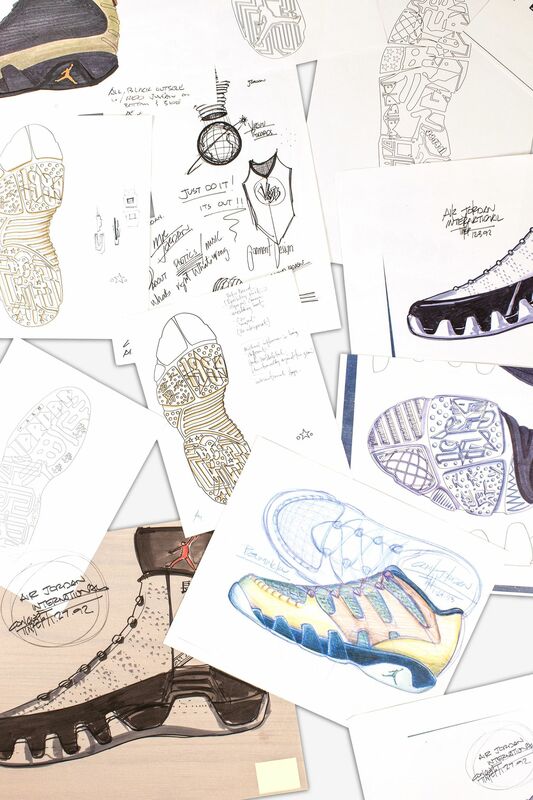 When it came to designing the Air Jordan IX, Tinker Hatfield was once again at the helm, but he was searching for new ways to evolve the signature line. 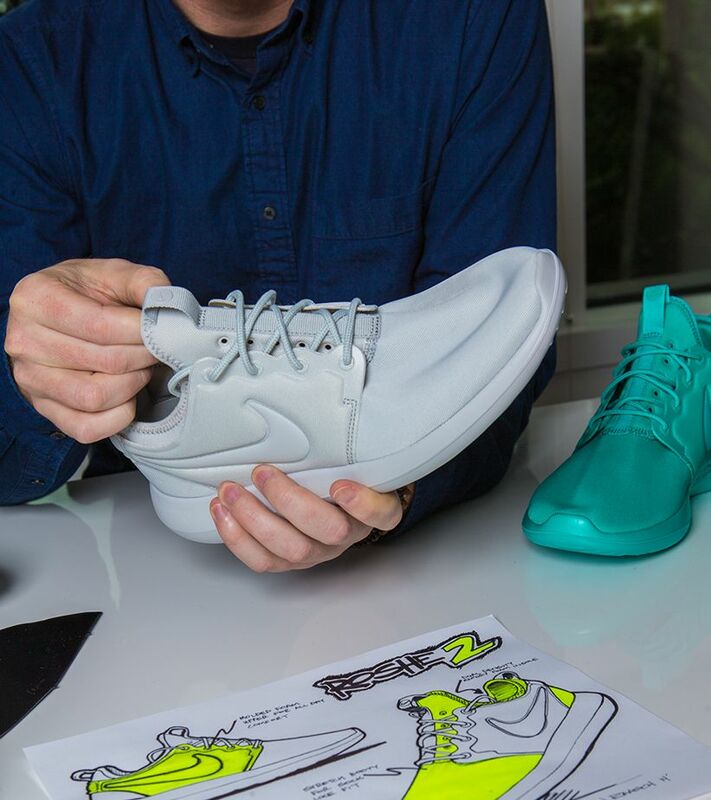 The innovation came in the form of outsole storytelling brought to life by designer Mark Smith. 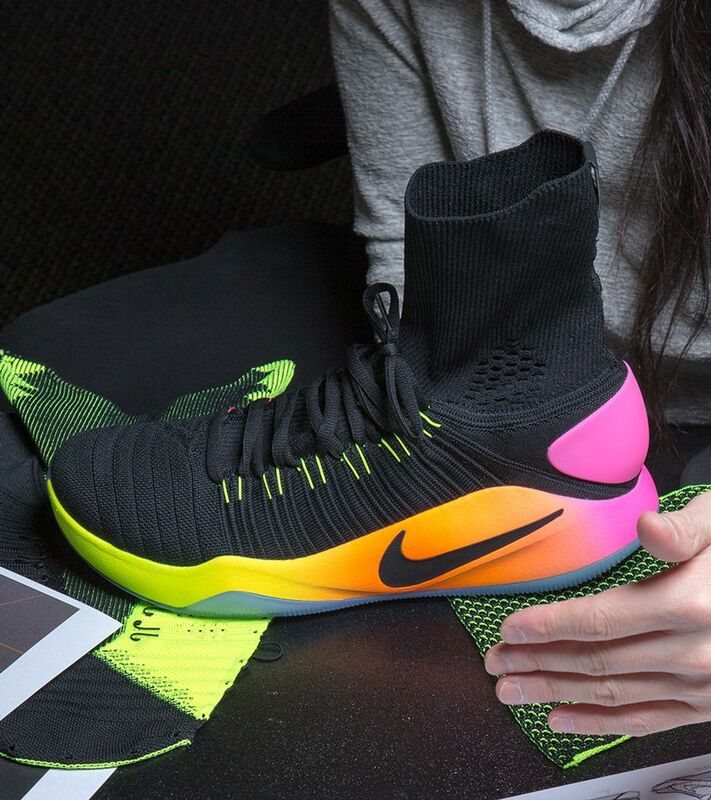 Looking to tell an international basketball story, Hatfield had the idea to make the outsole the narrative’s canvas, and he called on Smith to bring the concept to life. 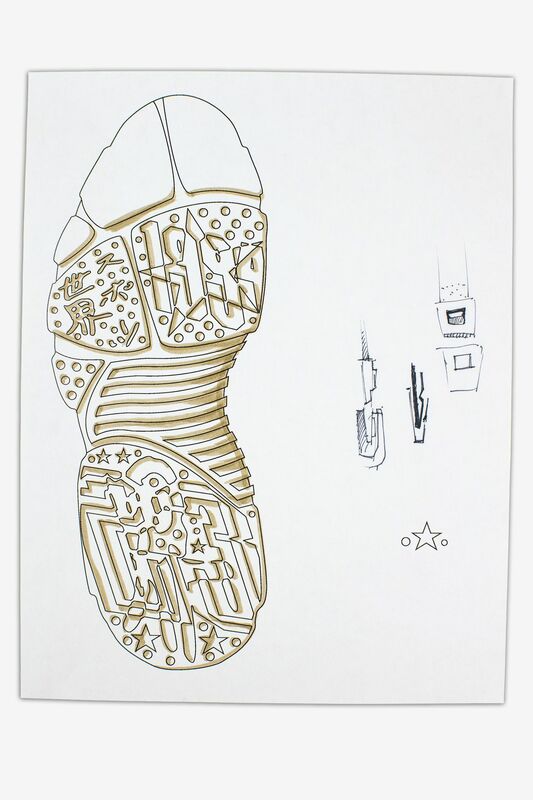 “He said, 'let’s do an outsole and tell a story...this international story'. 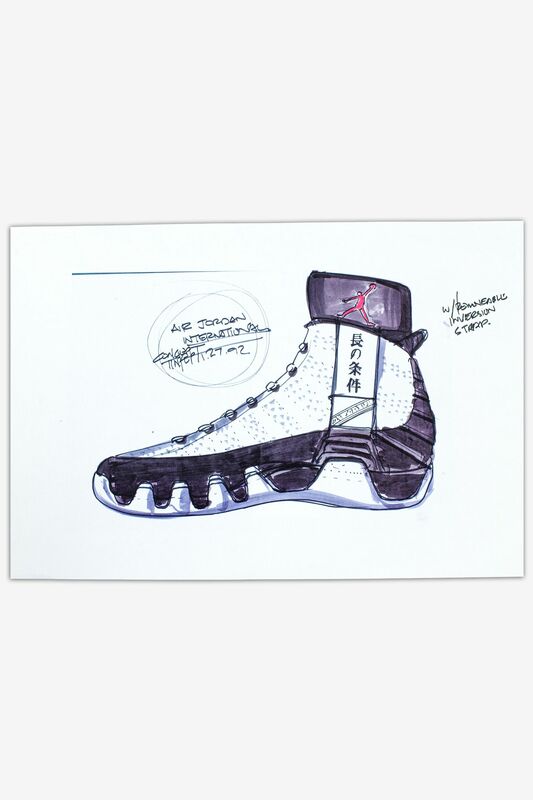 And that was a good place to start,” Smith explained as he reminisced on the Air Jordan IX’s earliest days. 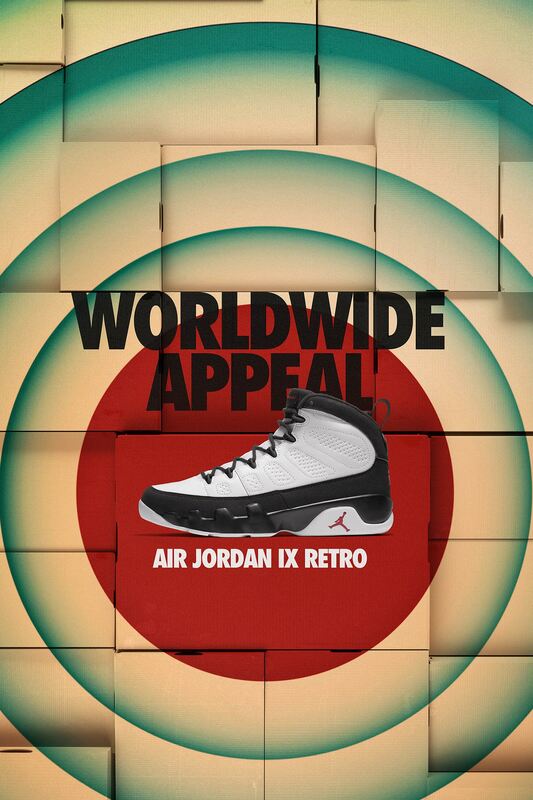 This “international story” quickly became the driving force behind the shoe. The narrative also allowed for rich storytelling in a fashion Smith knows best: graphics. Through unique globe graphics and phrases in different languages, Smith was able to tell the story of basketball becoming a global game. 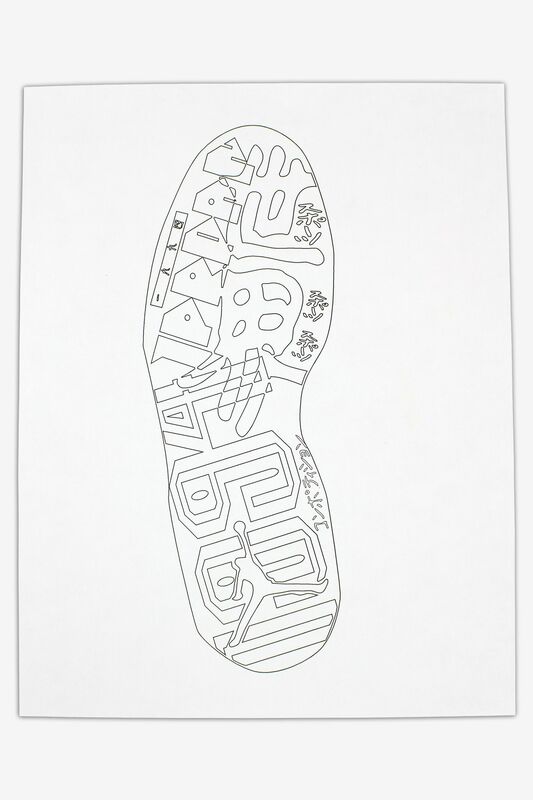 The phrases incorporated were also different on each shoe in the pair, telling a complete story while keeping each outsole unique. “We were not happy with just taking this one graphic, designing it and flipping it. We definitely wanted to keep it unique,” Smith said. 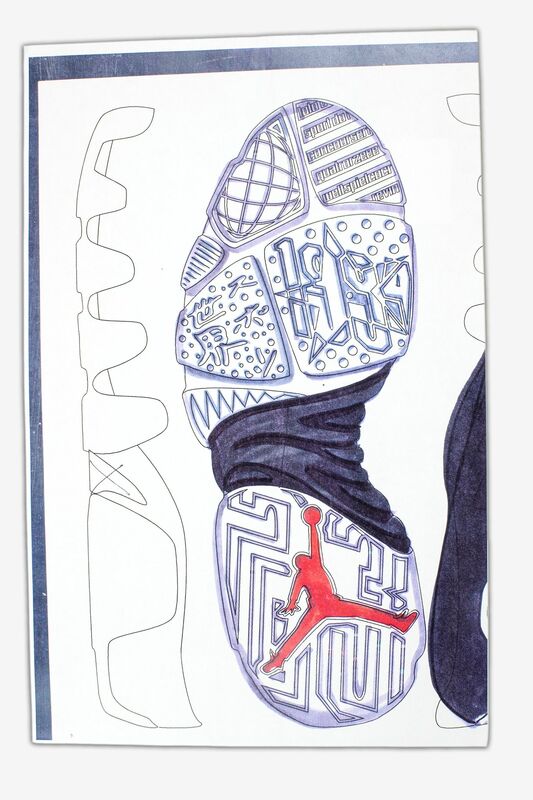 Not only was the project Smith’s first dive into the Air Jordan line and outsole design, it also provided him with a unique challenge. 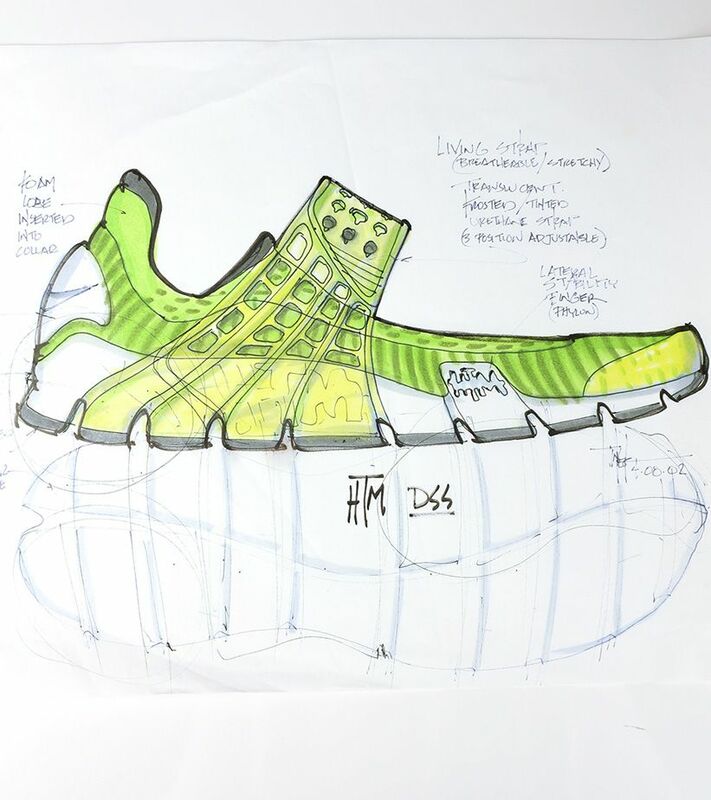 “This was my entry into what makes performance traction. I had to really look at how herringbone plays and investigate why it is on so many shoes. And then, how could we break that mold and still serve the technical needs, but I do so in a visual form that is going to tell a story,” he explained. 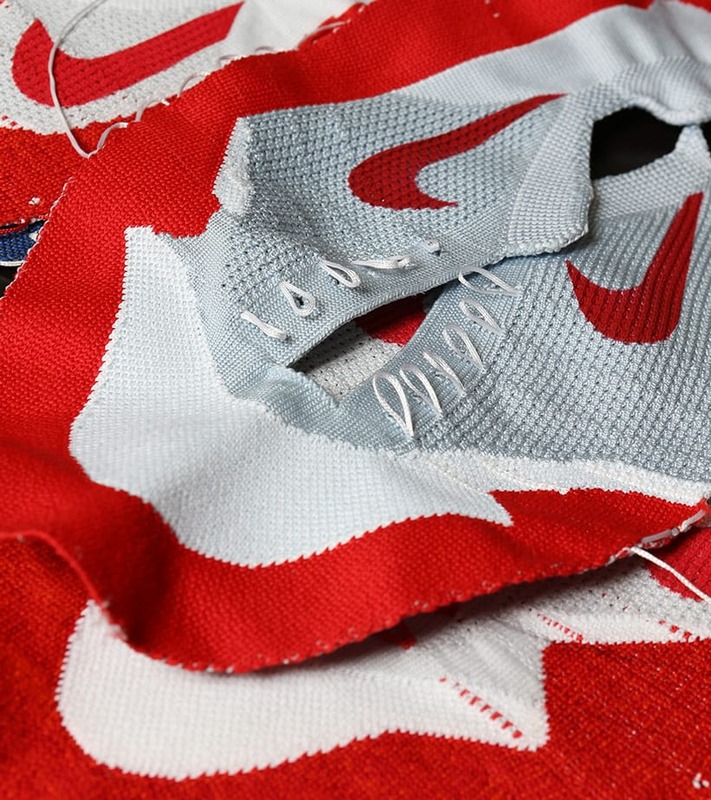 Today, the story remains as vivid as ever, and the creation process from refined design to performance excellence underscores the blueprint for success that the Jordan Brand was built on.